Peruse the artwork on display at Finland's Helinski International Airport (photo: Finavia). These 5 international airports amp up their offerings to passengers. From a casino to a movie cinema, waiting for take off has just gotten more interesting. For the fourth consecutive year, Singapore’s Changi Airport won World’s Best Airport at the Skytrax World Airport Awards. It’s really no wonder, what with movie theatres, a day spa, a rooftop pool, outdoor (and indoor) gardens, and more shopping than you can poke a maxed-out credit card at. Changi has upped the ante for other airports; here are some that are following suit. 1. Hong Kong International Airport: Catch a flick at Hong Kong International Airport, the only airport in the world to have an IMAX movie cinema. You can catch both 2D and 3D films. 2. Seoul Incheon Airport: As well as a casino and an ice-skating rink, Seoul’s Incheon Airport has a golf course, which is a free five-minute shuttle ride away. 3. Nashville International Airport: Chill out to some tunes at Nashville International Airport; Music City’s airport has four stages with regular live gigs from country (of course) to jazz to rhythm and blues. 4. 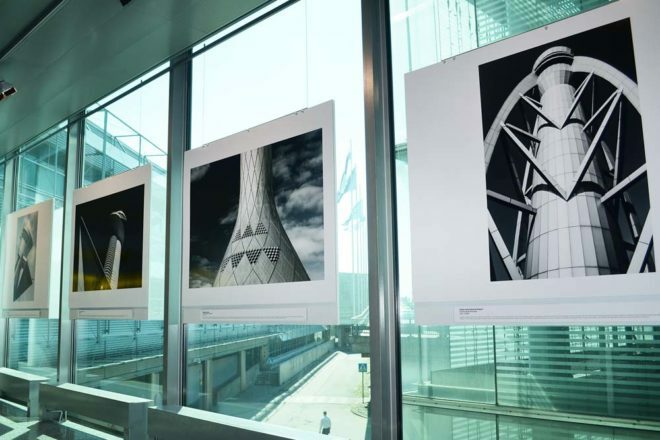 Helsinki Airport: Art-lovers will feel at home in Helsinki Airport, which has a 24-hour art gallery and museum, as well as public art throughout the terminals. 5. Zurich International Airport: You can organise a children’s birthday party at Zurich International Airport, complete with a 45-minute tour, an up-close view of take-offs and landings, and a cake!